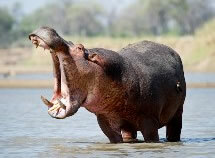 Two quite different walking safari experiences are offered by the Robin Pope Safaris organisation, as shown below. The Robin Pope Safaris’ Mobile Walking Safaris are a unique experience to be savoured in South Luangwa. The experience starts with a couple of nights at their base camp of Nkwali, where you can get in some good game viewing by vehicle, as well as begin to stretch your legs with a morning walk in the bush. You are then driven to the north of the park where you will walk for five days covering approximately 10 km a day, following the Mupamadzi River. This clear river is a major tributary of the Luangwa. The area is remote and wild, the terrain and habitats varied and the game shy and unused to man. From ants to buffalo, a bird's nest to tracking a lion, you will learn the many facets of the bush. The fully serviced mobile camp is extremely comfortable and well-equipped with walk-in tents and full bedding. The shower is under a tree and the toilet is a bush loo with a wooden throne. Meals of a high standard are served under the open sky. As you walk to your next campsite location each day, the camp is dismantled and driven around to the new site, and is ready and waiting for you when you arrive. 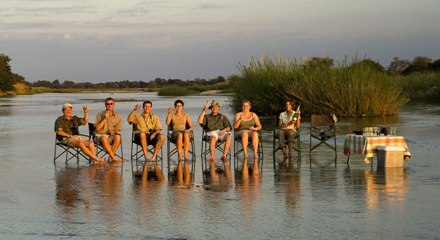 A final night at their Tena Tena Camp or Nsefu Camp then completes your mobile walking safari. As an alternative to driving up to the very north of the Park (through what one guest once referred to as Tsetse Fly Alley) it is possible to undertake a slightly watered down experience nearer to civilisation. 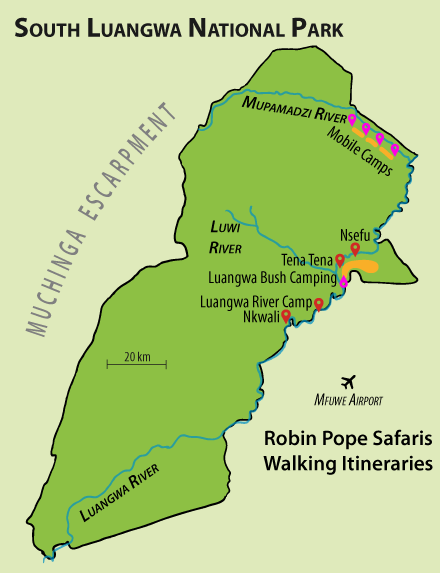 Although it is possible to walk directly in between Robin Pope Safaris’ two classic permanent camps – Tena Tena and Nsefu – this itinerary undertakes the same journey over a much longer route, spread over two or three days, camping along the way. This is simple camping but with that extra touch of comfort. There are stand up tents, mattresses on the ground, sheets and blankets, wash basin, shared 60 litre bucket shower, bush loo, full bar and food service, in fact a fully serviced camp. 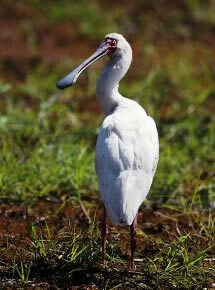 The walking is in one of the most lagoon rich areas of the Luangwa and hence the game is superb. Ideally the trip might include one night at Tena Tena, two nights camping along the way, and then a final night at Nsefu. 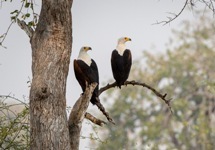 However it can be extended to whatever degree you might prefer, forming the whole of your visit to South Luangwa, or forming merely the walking safari part of this. The cost of the 5 day mobile walking safari, together with one initial night at Nkwali Camp, and one final night at Tena Tena or Nsefu is $7740 per person in high season. 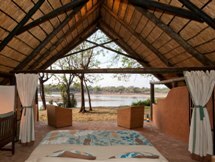 The cost of the Luangwa Bush Camping experience - assuming one night at Tena Tena, two nights out in the bush, and a final night at Nsefu is $3550 per person in high season. The Robin Pope website offers links to a couple of useful videos relating to these two walking safaris. Not boring you, are we?